We had a great weekend — hope you did, too. 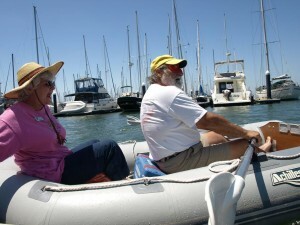 We had our Webmaster — Gilligan with his better half — Mary Ann and joined our friends at the Oakland Yacht Club for dinghy races, rubber duckie races, and other assorted nonsense. The Skipper had his birthday along with Uncle Sam. We watched fireworks two nights in a row. We returned to the dock this morning without the aid of Boat US — Life is Good!